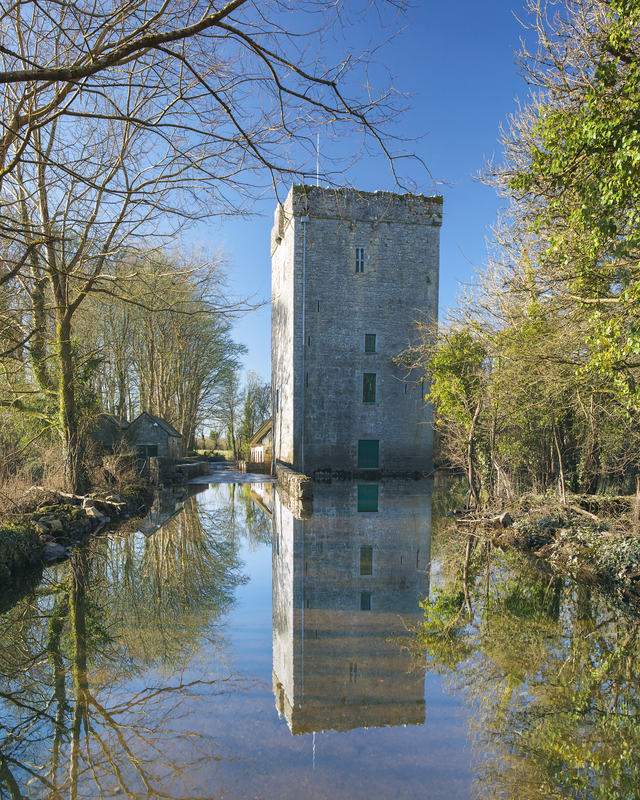 Yeats & the West, reimagined and reworked for a new space and a new place, comes to Yeats’s tower, Thoor Ballylee, according to the late Seamus Heaney ‘the most important public building in Ireland’. Sabina Coyne Higgins, wife of the President of Ireland, Michael D. Higgins, and in her own right an actress and dedicated supporter of theatre and the arts, opens the new Thoor Ballylee Yeats Exhibition at for the poet’s 151st birthday. A native of Mayo, Sabina Coyne Higgins has a close relationship with Yeats and western culture as co-founder of the pioneering Focus theatre, and through her work with the Lyric Theatre Belfast, a theatre with a history of staging W.B. Yeats’s plays and those of his brother Jack B. Yeats, as well her long association with Druid Theatre, An Taibhdhearc, and other Galway theatre groups. Since Thoor Ballylee flooded last winter work has been ongoing to reopen it with a new exhibition for visitors to enjoy. 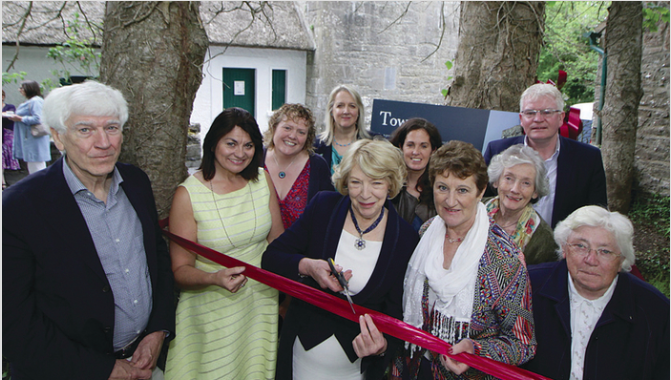 Thanks to the dedication of the local community and the generous support of local and international donors Yeats’s tower has re-opened with its new exhibition in place for the summer summer season. Special guests at the launch include Joseph Hassett, Yeats Scholar & Thoor Benefactor, Fidelma Healy Eames, Chair of the Yeats Thoor Ballylee Society, and Councillor Michael Connolly. All gave speeches, commending the exhibition and commenting on the huge importance of Thoor Ballylee to Yeats. The event included local music from Gort Comhaltas. The Thoor Ballylee Yeats Exhibition is a reimagining of NUI Galway’s “Yeats and the West”, with material from the “Yeats and His Muses” exhibition (conceived and produced by Dr Joseph Hassett). 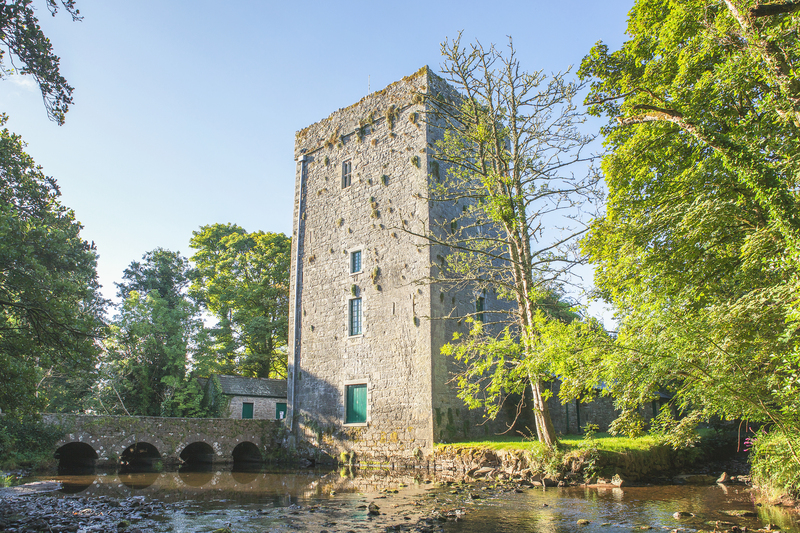 The curator, Dr Adrian Paterson, Lecturer in English at NUI Galway, has created a new exhibition for the Tower which explores Yeats’s relationship with the people and places that most inspired his work. The Thoor Ballylee Yeats Exhibition looks at the culture of the west, its crafts, stories, and songs; the central importance of the women in Yeats’s life, most especially of his wife George; his talented family and long history of artistic collaborations, and in particular his close connections with the landscapes and people of County Galway, with Coole Park and with Thoor Ballylee. 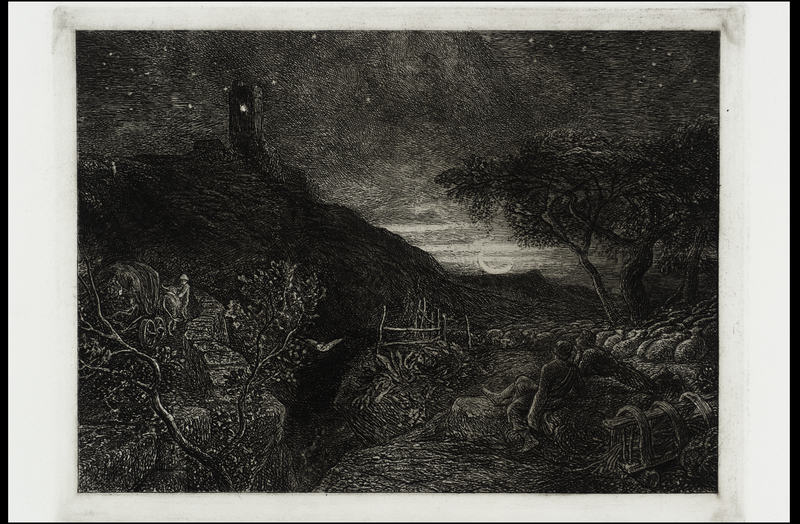 Samuel Palmer, The Lonely Tower (1879), inspiration for Yeats’s ‘The Phases of the Moon’ and most of Yeats’s tower poetry. All of the work by everyone the last two years has given me great joy. It is lovely this exhibition continues and reshapes and brings on such prestigious and dedicated curators. 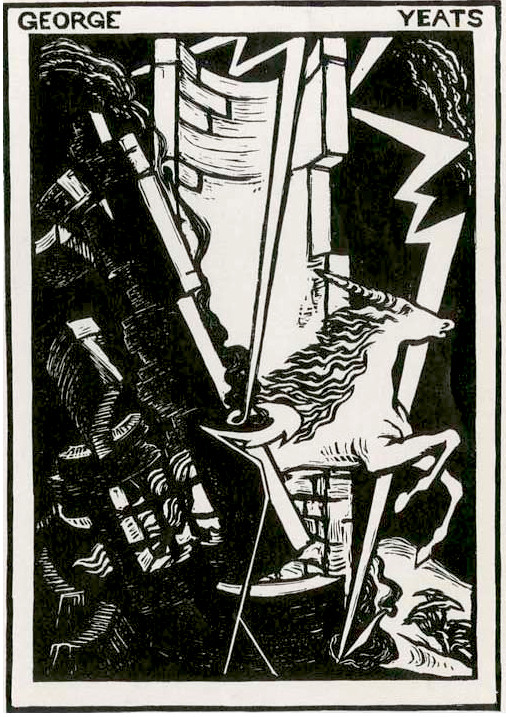 As Yeats scholar I am delighted by the “lightning struck tower” Georgie Yeats tarot card bookplate. There always should have been a full deck of Yeats inspired tarot, and this one in particular fits Thoor Ballylee exquisitely. I would love to see a credit for the illustrator and for the beautiful air played during the video. Thank you for the work on these newsletters. They are cherished by at least this one Fool.